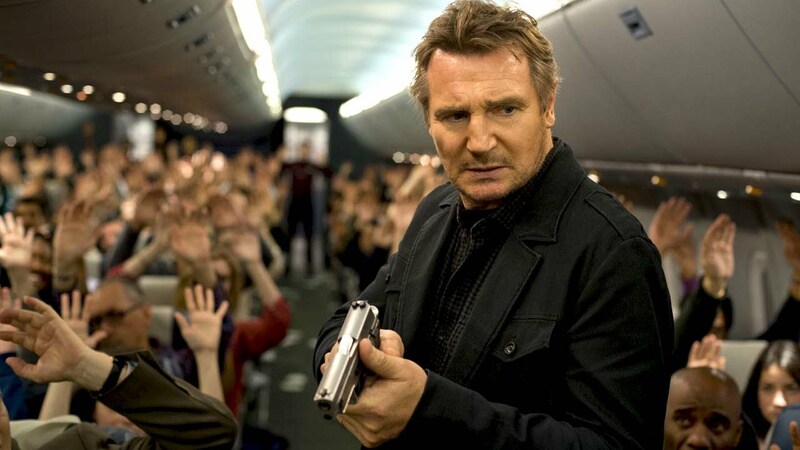 In the next installment of Liam Neeson saving the world, or in this case, 150 people 30,000 feet up in the air on a commercial airliner from New York to London, things are so over-the-top ridiculous, things tend to not make a whole lot of sense. But what do you really expect from aLiam Neeson movie these days? That being said, this thriller in the air called ‘Non-Stop‘ is quite fun and is less cheesy than the ‘Taken‘ films, but not as gritty as ‘The Grey‘. 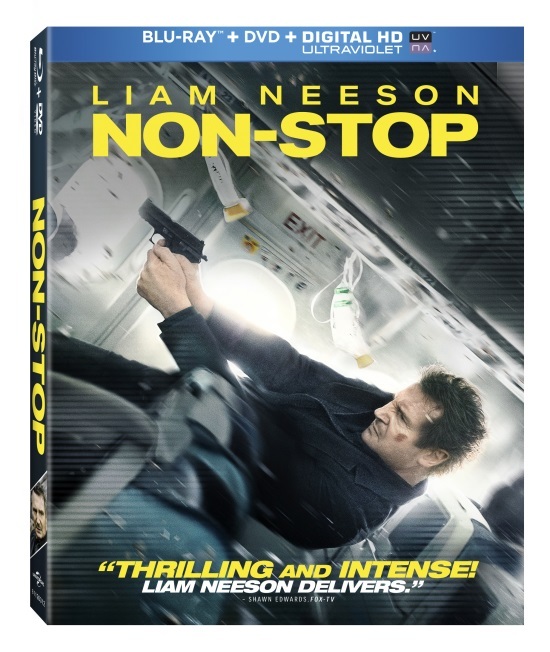 ‘Non-Stop’ comes with a great 1080p HD transfer and is presented in 2.40:1 aspect ratio. The movie was shot in 35mm, which is rare these days, and it looks great, even though the film isn’t. And this image looks just as good as it did when it was in theaters a few months ago. The detail is mostly sharp and vivid throughout the film. Closeups reveal very fine textures in the uniforms and costumes. You can see almost every stitch in the plane seats. In addition to that, the actor’s faces reveal every facial hair, freckly, scar, and makeup blemish quite nicely. There are some softer shots, but it’s completely true to the source and not part of this transfer. Colors are very well saturated and strong throughout with some great blues and golds. The skin tones are always natural and the black levels are very deep and inky. There was a little bit of crush here and there, but it’s nothing to write home about. There were no other compression problems to speak of, giving this release a great video presentation. This release comes with a lossless DTS-HD 5.1 audio mix and it sounds excellent. Being confined in an airplane for the entire film, the filmmakers did a great job with the sound effects and directionality of each noise. It’s powerful and robust throughout. The dialogue is always crystal clear and easy to understand with Mr. Neeson’s accent. The dialogue track is perfectly situated on the center channel as well. The sound effects full immerse you inside the plane with every noise sounding robust, full, and realistic. The third act where most of the action takes place is where the bass kicks in more and the surround activity increases. The LFE is great and the dynamic range is wide. This is a solid audio presentation. Suspense at 40,000 Feet (HD, 8 mins.) – Here is a very short and standard promo reel for the film with interviews from the cast and crew as they quickly talk about the script, the characters, the stunts, and the director. Non-Stop Action (HD, 5 mins.) – This is focused more on the stunt work involved in the film and discusses the fight choreography, Neeson’s old age, and real life air marshall stories. 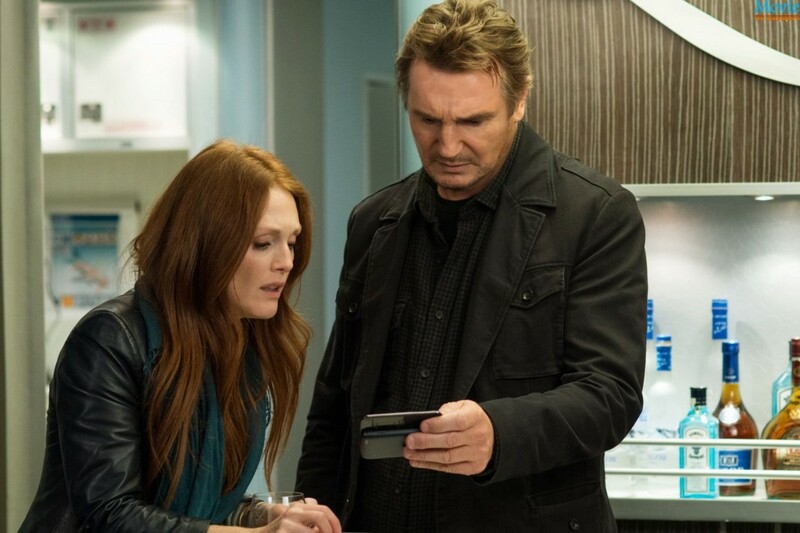 ‘Non-Stop‘ isn’t a great movie, but it is entertaining enough for you Liam Neeson fans. It just kind of gave up on itself towards the end. But the first two acts are quite fun. The video and audio presentations are top notch, but the extras are less than thrilling. If you’re a fan of the film or of Liam Neeson, this Blu-ray is worth owning, but if not, you might want to rent this one. This entry was posted on Tuesday, June 24th, 2014 at 6:40 pm	and is filed under Film, News. You can follow any responses to this entry through the RSS 2.0 feed. You can skip to the end and leave a response. Pinging is currently not allowed. « Boomstick Giveaway: ‘300: Rise of an Empire’! !